I'm a day late but I'm working hard to get my blog calendar organized so I know what special features occur on what day of the month. 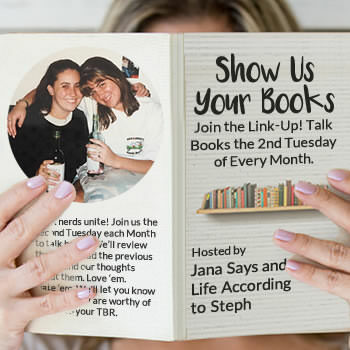 The second Tuesday from now on will be Show Us Your Books - let's hope I remember to keep a list! 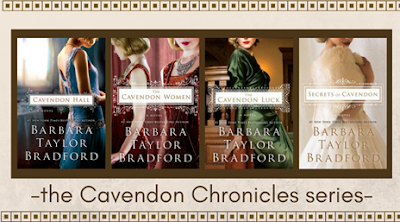 I'm in the middle of the Cavendon Chronicles by Barbara Taylor Bradford. I've been reading her books since I came across the Emma Harte series beginning with A Woman on Substance. She writes about my era and area of interest, from pre-World War I to post-World War II in England and I love her descriptive style. It's light and easy reading and thoroughly enjoyable. How fun! I'm eager to see what you're reading. I admire your blog planning. I've thought about being more deliberate in my posts, but I don't do anything about it. I guess if I really wanted to I would, maybe someday! My Gamma always had Barbara Taylor Bradford paperbacks in the house, so I have read quite a few! I've never heard of this series but I'm glad you're enjoying it.